FRIENDSHIP, INDIANA A cast iron cat doorstop from 1890, a campaign button for John F. Kennedy, valentines from the 1930s, and many other interesting items are available at the Friendship Flea Market in Friendship, Indiana. While shopping for unique finds might seem like a treasure hunt or a way to save money, it is also beneficial to the environment. 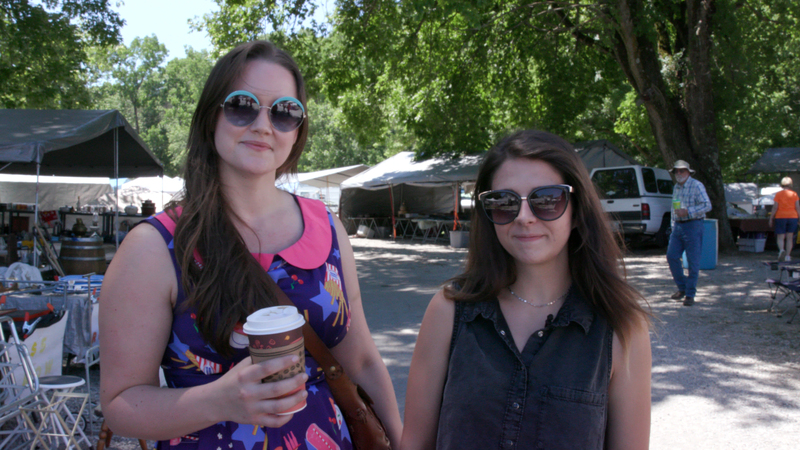 Charlsee Aldridge and Jordan Gardner, both currently living in Madison, came to the Friendship Flea Market to find unique items and prefer to buy second hand over new. 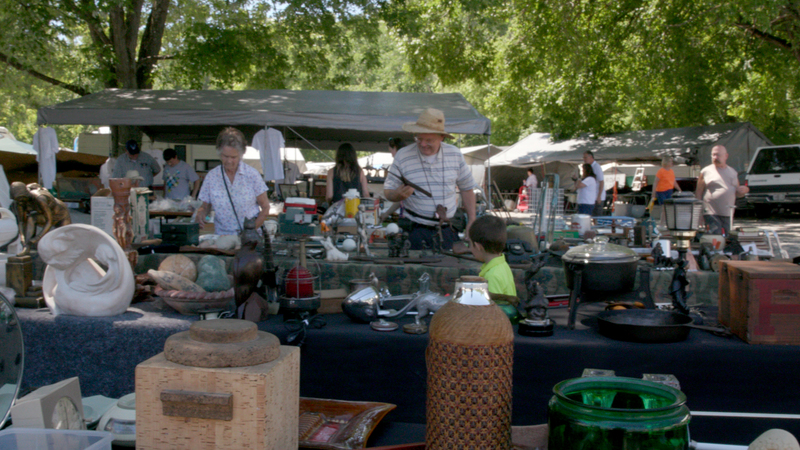 The Friendship Flea Market has been held for the past 51 years twice a year, in June and September. Each market runs for nine days and has space for 500 vendors winding around the banks of the Laughery Creek just off Main Street. “Too many books are just ending up in landfills. So, recycling books, keeping that tradition alive, I enjoy doing it,” said bookseller Harold Touch, who has been a vendor at the flea market for 18 years. He said he likes helping people find what they need or enjoy doing. “It’s especially fun watching the kids get excited,” he said. 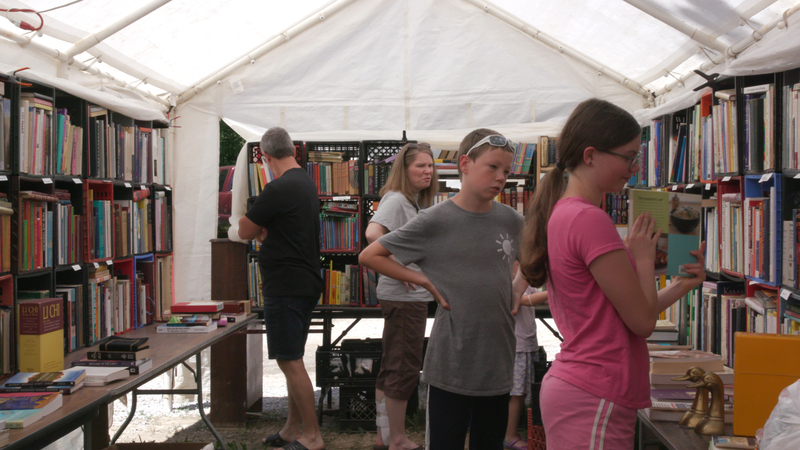 Visitors to the Friendship Flea look through vendor Harold Touch's books. He has been selling books at the Flea for 18 years. The second-hand economy has been around and thriving for years. 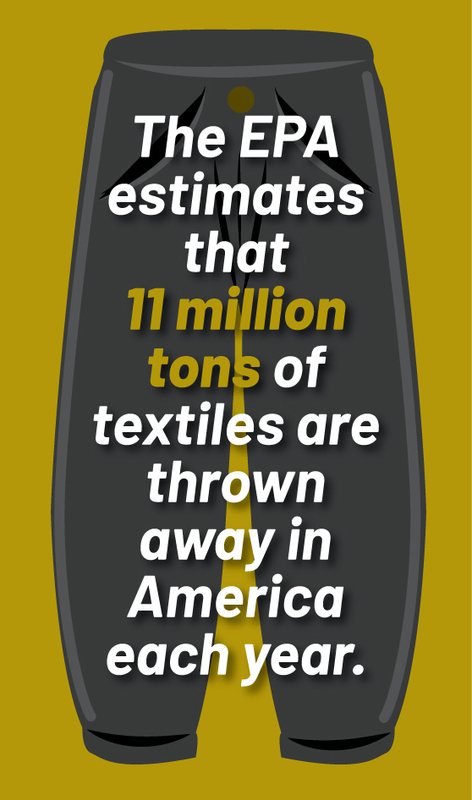 However, more people are thinking about environmental cost and how ethically products are made. It also gives the buyer a chance to find something unique or repurpose an existing item. The second-hand economy is also good for building relationships and keeping money in the local community. Friendship Flea Market owner Gary Stemler said what he enjoys most about the flea market is the people. Buying used can also be fun. With items arriving daily at local thrift shops and flea markets, there is a thrill-of-the-hunt element as well. “Everything you find here someone has used or someone has made, and it’s just a lot more valuable, I think, than something you’ll find at a store and you’ll find 10 others like it,” Gardner said. The Friendship Flea Market has been held for the past 51 years twice a year, in June and September. Each market runs for nine days and has space for 500 vendors. 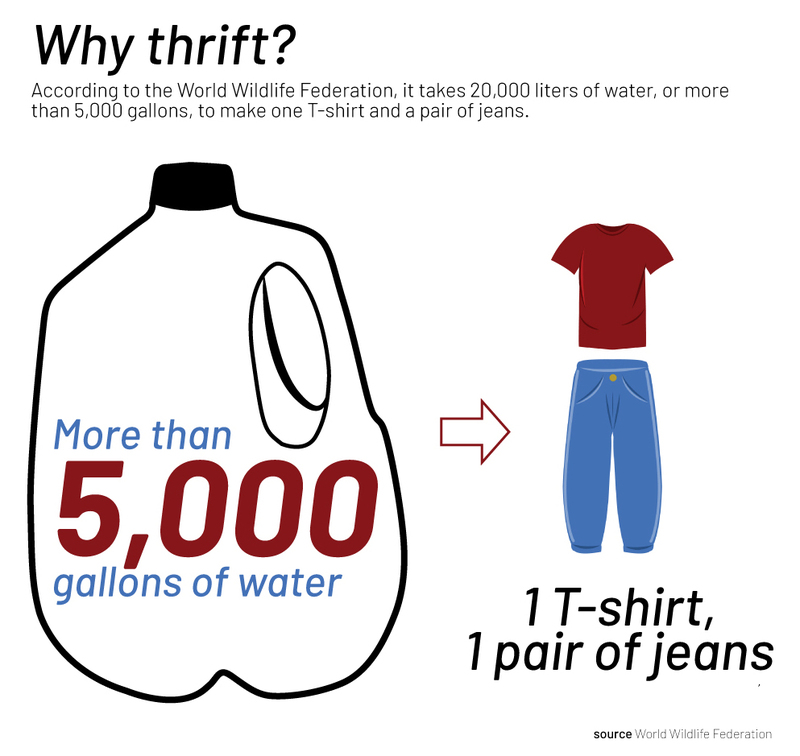 While shopping for unique finds might seem like a treasure hunt or a way to save money, it is also beneficial to the environment.